Fighting can be turned into recovery & intimate coversations. 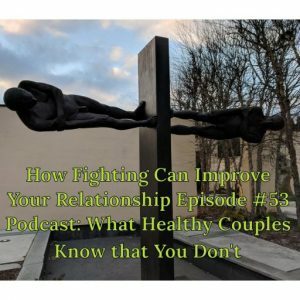 Dan Wile says that the heart of a couple’s relationship is saying what you need to say and feeling that it has gotten across. It is having conversations that work out. He goes on to say; people start acting crazy, confused, offensive, and in desperate ways when they are not able to say important things. These are incredibly important ideas to improve communication. 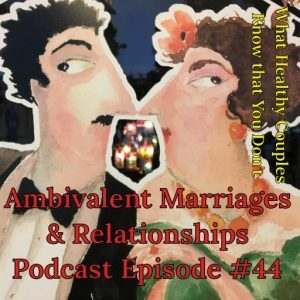 Interview with Dan Wile, who is a clinical psychologist in private practice in Oakland CA who has written several books for couples, my favorite is the revised edition of After the Honeymoon: How Conflict Can Improve Your Relationship which offers couples a way out of the negative cycles in arguing. He considers it a major principle: “Whenever you find yourself feeling less satisfied with, less in love with, less turned on by, more walled off from… more bored with your partner, look for the feelings, wishes, worries or complaints that you are not sharing”. His belief about what emotional intimacy is; which is saying the main thing on your mind and feeling your partner understands and your partner doing the same. Here is one example: Jack overhears Jill talking on the phone with her friend Emma. If Jack could say the main thing on his mind: He’d say, “You seemed so excited and happy talking with Emma just now. It made me think about how we used to be and I miss it.” but let’s say he’s not the kind of person who feels comfortable saying such things and I actually think maybe most people aren’t, so he’s left to keep his mouth shut, & becomes walled off. Jack is more bored, less satisfied with & less turned on by Jill. He’s in withdrawal mode, which is two of main modes that people get into when they can’t say what they need to say. The other mode is attack mode, which he could be in & he’d say “Was that Emma again? Why don’t you just move in with her!” with a burst of anger. 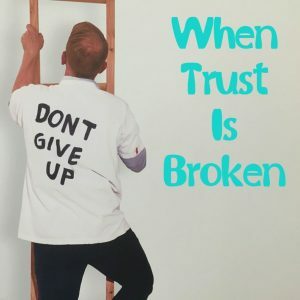 So when you find yourself in withdrawal mode or attack mode, which means all these negative things were happening, you can use that as a clue that there’s something you’re suffering from in being unable to confide to your partner. And I put a lot of stock in the word concide so you can work backwards and try to figure out what it is that you would have needed to confide. Dan talks about how easy it is to be boring because we talk about events and we don’t include our feelings. And I thought that was a really important distinction to make. So Joe Likes to talk about the cars he’s working on in the garage. Brenda, isn’t interested in that. She’s more interested in hearing how he feels about what he’s doing and what happens between him and the other people, the coworkers, his boss,or the customers, and she gets bored hearing too much about carburetors. So what can they do? Well, the obvious thing is to whatever extent possible they can try to shift. maybe even develop a sense of humor about it? He may start talking about carburetors about something in the cars and then he’ll catch himself halfway through. He’ll catch himself halfway through and say, “Oh,I’m probably saying more than you’re interested in.” And she’ll really appreciate that. Oh, that’s elegant. That would be a lifelong process and it could be improving all the time. Another option for Joe would be to say “I want to tell you about the car fixed up today because I’m really proud of it. Saved the guy 2000 bucks. Everyone was real impressed.” That part of Brenda would be interested in and then he could go on and talk a little bit about what he did. One pattern that we all can easily get stuck in is fighting or withdrawing from each other. We all know that expressing anger or suppressing anger; both can get us into trouble. 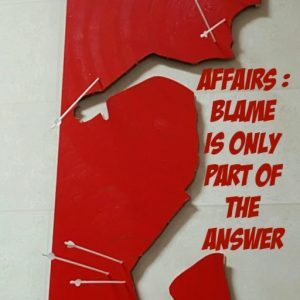 So what can partners do instead of this? So you’ve got this resentment. Do you express it or stuff it? Well, some people always express it. Some people always stuff it. Most people do something, sometimes one, sometimes the other, and as you said, both have their disadvantages in fighting. 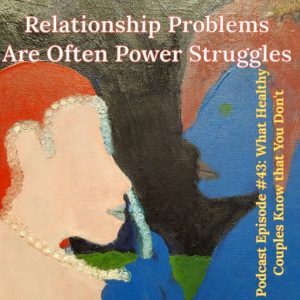 There are some things you don’t want to say, things that are hurtful & that you can’t take back & your partner is going to remember forever, but there’s a whole bunch of other things that aren’t hurtful in that way but still might upset your partner. think won’t bother me in 20 minutes, I won’t bring it up. The problem isn’t fighting. It’s getting back into a fight without knowing why. So how do you figure out the why? If you don’t know that you’re saying something provocative, then you’re stuck taking your partner’s angry or defensive response as meaning that they’re overly sensitive. They get upset over nothing and there’s no way to talk with them. So it’s an advantage to know, know that you said something provocative so you can understand and it makes sense to you that your partner’s upset. Figuring out together what happened, means you could say, “Well now at what point did what I say, got you upset with me again?” or “Here’s what you said that got me upset.” If you’re talking about it in a calm way with the general tone of voice rather than in the middle of fighting,then you can figure out together, what happened? Talking in these self revealing ways, really is what can change these stuck patterns of fighting. If you were to say, “I feel lonely when we fight like this” You’re just saying how you’re feeling and yeah, now you hope your partner will respond with something like, “Well, I feel lonely too.” also in a gentle tone of voice, of course it doesn’t always happen that way and you must prepare for reaching out & it not working out.